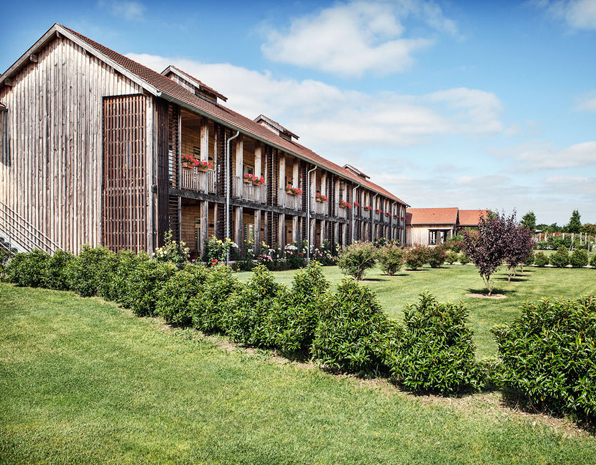 An Idyllic Location for Lovers of Gastronomy and Fine Wine in the Dordogne. Enjoy local delicacies at our restaurant near Bergerac in the Dordogne. 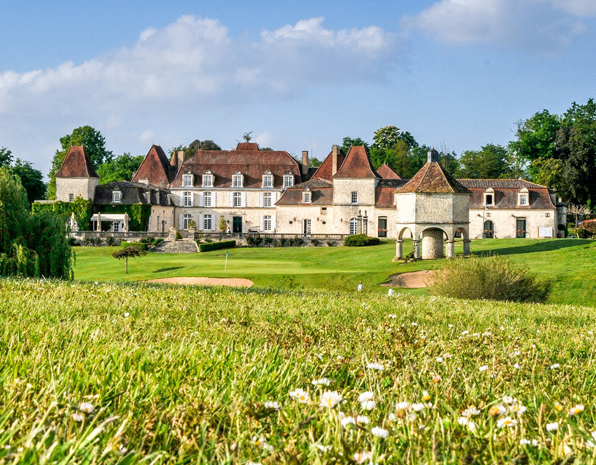 Chateau des Vigiers offers Michelin star fine dining at « Les Fresques ». A Michelin Star Restaurant and a Passionate Chef. The Restaurant « Les Fresques » is situated in the 16th century Château. Head Chef, Didier Casaguana was awarded 1 Michelin Star in 2014, 2015, 2016 and 2017. “Les Fresques” offers a sophisticated and sumptuous dining experience, complemented by an extensive wine list. Open every day except Sunday evening and Monday lunchtime. Closed all day Wednesday. Reopens Monday 8th April to mid-November 2019. A Brasserie with one of the Best Views in the Dordogne. The brasserie « Le Chai » is set in our old wine making building and offers a more informal and relaxed dining experience, also serving lighter meals and snacks. A Variety of Activities Involving Wine and Gastronomy. Our multilingual staff are delighted to organize visits to sample the produce at the AOC vineyards of Bordeaux and Bergerac, or enjoy the many local markets, where you can buy local specialities such as truffles, cèpes, and foie gras. There is so much to do and see in the Dordogne. Testament to the history of the region are the hundreds of castles dotted along the banks of the river Dordogne. Many are open to visitors and well worth a day trip. Enjoy exclusive advantages when booking online ! Unlimited Golf, Wellness and Half-board Packages! The longer you stay the larger your discount!